Between coin heists and ICOs, much of the attention around blockchain technology centers on bitcoin and other cryptocurrencies. (There’s even a bitcoin heist movie, if you’re interested). But as blockchain, the technology that underlies bitcoin and its brethren, grows in usage, there are intriguing opportunities for AI to work with it to transform the way all manner of financial transactions occur, and not just in the financial industry. Blockchain technology will soon record “time chains of events,” as applied to contracts, interactions and occurrences. In these “time chains,” people and the items we interact with will have encrypted identities. The blockchain that is distributed will be the single source of truth, allowing audit trails of data usage in models, particularly in data permission rights. Today, to rent a car, you’d go to a traditional car rental agency like Hertz or Avis, or belong to an “alternative” rental organization like Zipcar or car2go. In the future, you will be able walk up to a car to lease it, but you’ll do so with a micro-loan for which you are approved to lease the car for, say, an afternoon. This micro-loan will have insurance contracts attached to the chain and a codified history of the car’s history of drivers, events and maintenance. As you drive through the city and interact with toll roads and parking spaces, all of this information will be automatically recorded and monitored on the blockchain. When you leave the car and lock it, the lease is complete and auditable on the chain. This concept of auditable “time chains” enabled by blockchain can be applied to, for example, tracking faulty components from their source to every affected vehicle. Such an approach could dramatically improve safety flaws that are today addressed by inefficient mass recalls. 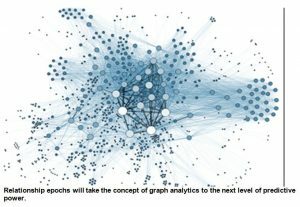 Beyond “time chains,” data event chains will create new opportunities for graph analytics and novel new AI algorithms to consume relationship data at scale. In 2018, we will see new analytics around relationship epochs, which has fascinating implications for the automotive industry. Here’s a quick definition: Think of your car’s daily interactions with drivers, other cars, fuel stations and service establishments. Most days are relatively routine, but sometimes chains of events occur that have new meaning, perhaps indicating impaired or poor driving, collisions and repairs, preventive service opportunities and many others. Clearly, understanding these webs of relationships of events will add more insight to any analysis of individual components. 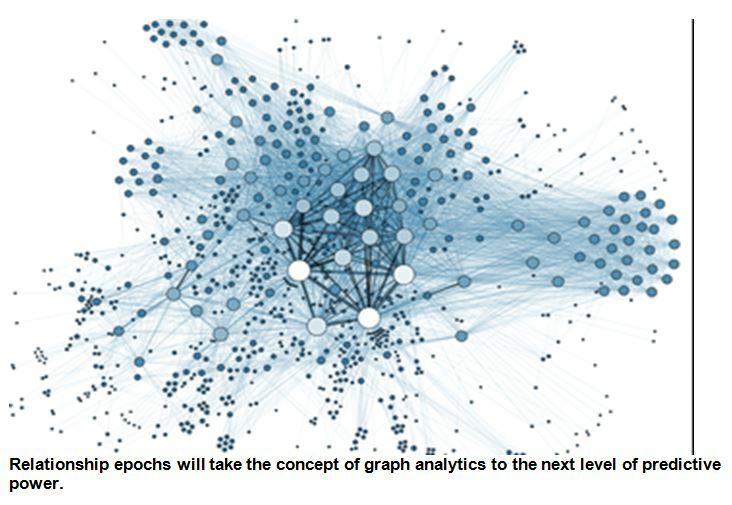 These webs, or relationship epochs, will feature scoring based on shifting chains and graphs, delivering tremendous predictive power. Used cars: Purchasing a used car is fraught with uncertainty. Blockchain and AI can be used to create relationship epochs that will inform buyers of the car’s “past life,” i.e., if the car has been in accidents, how rough it was driven, if the parts comprising the vehicle are authentic and correct, and much more. Defensive driving: As roads become increasingly populated with driverless cars, it becomes critical to know how much to trust the car in front of you. What is its history on the blockchain? In the moment, should you back up or change lanes? Cars’ sensors add another dimension of information, helping human drivers to make better decisions. Insurance risk assessment: As the roads we drive on essentially become a network of trust, individuals’ identities may not be known, but there is goodness and normality associated with the individuals who comprise driving populations. In this way, blockchain technology can help insurance companies to assess and score drivers’ safety habits and aggregate risk levels. As for me, I am excited to hear about how my future used Porsche may be enhanced by blockchain technology. Since I’ve just sold my much loved, and much maligned, classic Porsche 996, a new track car may be in my future sooner than I think. Follow me on Twitter @ScottZoldi.